Agatha Christie – English writer. Agatha Christie was the best-selling mystery writer of all time and she was born on 15 September 1890 into a wealthy upper-middle-class family in Torquay, Devon. She was an English detective novelist and playwright whose books have sold more than 100 million copies and have been translated into some 100 languages. 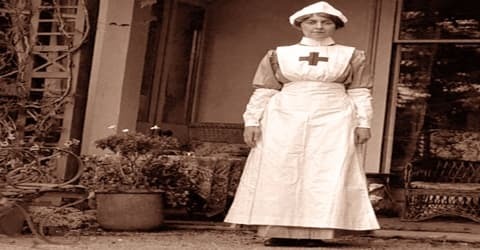 Before marrying and starting a family in London, she had served in a Devon hospital during the First World War, tending to troops coming back from the trenches. She was initially an unsuccessful writer with six consecutive rejections, but this changed when The Mysterious Affair at Styles, featuring Hercule Poirot, was published in 1920. During the Second World War, she worked as a pharmacy assistant at University College Hospital, London, acquiring a good knowledge of poisons which feature in many of her novels. 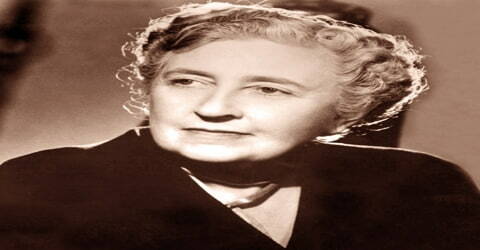 Agatha Christie is known for her 66 detective novels and 14 short story collections, particularly those revolving around her fictional detectives Hercule Poirot and Miss Marple. 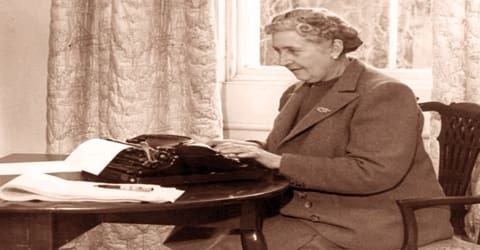 Christie also wrote the world’s longest-running play, a murder mystery, The Mousetrap, and, under the pen name Mary Westmacott, six romances. In 1971 she was appointed a Dame Commander of the Order of the British Empire (DBE) for her contribution to literature. She wrote ninety-three books and seventeen plays, including the longest-running play of modern-day theater, The Mousetrap. She is the only mystery writer to have created two important detectives as characters, Hercule Poirot and Miss Marple. She is credited for writing the world’s longest running play ‘The Mousetrap’. Her first successful publication was ‘The Mysterious Affair at Styles’ that introduced the character of Poirot. According to Index Translationum, her books have been translated into 103 different languages, and her works rank third rank after the works of William Shakespeare and the Bible, as the world’s most widely published books. Her novel ‘And Then There Were None’ deserves special mention as her best-selling novel. Around 100 million copies of this novel have been sold till now. Guinness World Records lists Christie as the best-selling novelist of all time. Her novels have sold roughly 2 billion copies, and her estate claims that her works come third in the rankings of the world’s most-widely published books, behind only Shakespeare’s works and the Bible. According to Index Translationum, she remains the most translated individual author, having been translated into at least 103 languages. And Then There Were None is Christie’s best-selling novel, with 100 million sales to date, making it the world’s best-selling mystery ever, and one of the best-selling books of all time. Christie’s stage plays The Mousetrap holds the world record for longest initial run. It opened at the Ambassadors Theatre in the West End on 25 November 1952, and as of September 2018 is still running after more than 27,000 performances. For her noteworthy contribution in the field of detective stories, she received several awards, such as the Grand Master Award and an Edgar Award. A number of films, television series, video games, and comics have been made based on her stories. Her created character Poirot is the only fictional character for which The New York Times published an obituary, which is a clear indication of the character’s popularity. 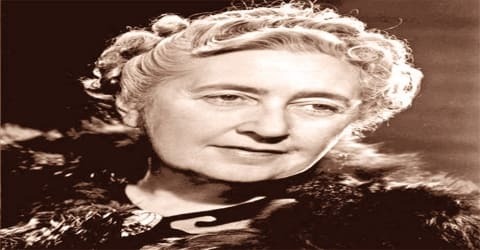 Agatha Christie, in full Dame Agatha Mary Clarissa Christie, née Miller, the daughter of an American father and a British mother, she was born at Torquay in the United Kingdom on September 15, 1890. 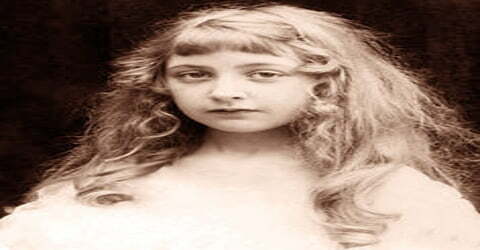 She was the youngest of three children born to Frederick Alvah Miller, an affluent American stockbroker, and his British-born wife Clara Miller née Boehmer. She spent her childhood days in a happy environment surrounded by some strong and independent women. On the insistence of her mother, she received a home education on arithmetic. She also learned to play the piano and the mandolin at home. In 1901, her family went through a financial crisis on account of her father’s death. The sad demise of her father ended her childhood. She started living together with her mother in their Torquay home. Her family was comfortable, although not wealthy. She grew up in a family environment full of stories from the dramatic, suspenseful tales her mother told her at bedtime to her elder sister’s frightening creations. She began creating her own fictions, too, with the help of her nanny, her dolls, and her pets. In 1902, she was sent to receive a formal education at Miss Guyer’s Girls School in Torquay but found it difficult to adjust to the disciplined atmosphere. In 1905, she was sent to Paris where she was educated in three pensions Mademoiselle Cabernet’s, Les Marroniers, and then Miss Dryden’s the last of which served primarily as a finishing school. Agatha Christie fell in love with Archibald Christie whom she married on the Christmas Eve in 1914. Archibald, who was the son of a judge in the Indian Civil Service, was born in India. Their daughter Roseline was born in 1919. In 1926, her husband disclosed his relationship with another woman. On December 3, 1926, after a quarrel between Agatha and her husband, she disappeared from her house. Her disappearance caused an outcry from the public. The Home Secretary, William Joynson-Hicks, pressured police, and a newspaper offered a £100 reward. Over a thousand police officers, 15,000 volunteers, and several airplanes scoured the rural landscape. On 14 December 1926, she was found at the Swan Hydropathic Hotel (now the Old Swan Hotel) in Harrogate, Yorkshire, registered as Mrs. Teresa Neele (the surname of her husband’s lover) from Cape Town. It is believed that she experienced a nervous breakdown probably due to the death of her mother earlier that year and her husband’s infidelity. The Christies divorced in 1928, and Archie married Nancy Neele. Agatha retained custody of their daughter Rosalind and the Christie name for her writing. In 1928, Christie left England for Istanbul and subsequently for Baghdad on the Orient Express. Late in this trip, in 1930, she met a young archaeologist 13 years her junior, Max Mallowan, whom she married in September 1930. Their marriage was happy and lasted until Christie’s death in 1976. In a 1977 interview, Mallowan recounted his first meeting with Christie, when he took her and a group of tourists on a tour of his expedition site in Iraq. Educated at home by her mother, Christie began writing detective fiction while working as a nurse during World War I. She returned to England in 1910 to find that her mother Clara was ill. They decided to spend time together in the warmer climate of Cairo, then a regular tourist destination for wealthy Britons; they stayed for three months at the Gezirah Palace Hotel. Christie attended many social functions in search of a husband. She visited ancient Egyptian monuments such as the Great Pyramid of Giza but did not exhibit the great interest in archaeology and Egyptology that became prominent in her later years. Returning to Britain, she continued her social activities, writing and performing in amateur theatricals. She also helped put on a play called The Bluebeard of Unhappiness with female friends. Her writing extended to both poetry and music. Some early works saw publication, but she decided against focusing on writing or music as future professions. Her first short story was ‘The House of Beauty’ which described the world of ‘madness and dreams’. Biographer Janet Morgan commented that despite “infelicities of style”, the story was nevertheless “compelling”. Other stories followed, most of them illustrating her interest in spiritualism and the paranormal. These included “The Call of Wings” and “The Little Lonely God”. Magazines rejected all her early submissions, made under pseudonyms, although some were revised and published later, often with new titles. She continued writing short stories, which mirrored her interest in spiritualism and paranormal activities. In Christie’s first book, The Mysterious Affair at Styles (1920), she introduced one of her two best-known detectives, Hercule Poirot. Poirot’s character also makes clear Christie’s debt to the mystery writer Sir Arthur Conan Doyle (1859–1930), the creator of the fictional detective Sherlock Holmes. Like Holmes, Poirot is a committed and convincing spokesman for a rational (reasoned and unemotional) approach to solving mysteries. Poirot places his faith in his brain’s “little grey cells”. Poirot’s friend and companion, Captain Hastings, also shares much in common with Holmes’s friend Dr. John Watson. Hastings, like Watson, is a retired military man who is too trusting and often foolish, but he occasionally stumbles upon some observation that inspires the far-more-intelligent Poirot. 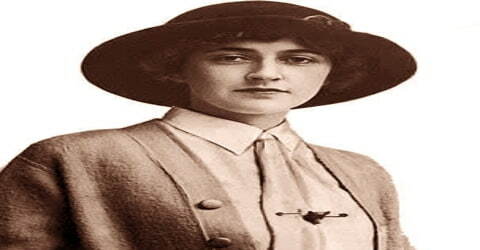 During World War I in 1914, Agatha joined the Voluntary Aid Detachment. During her service there, she attended injured soldiers at the hospital in Torquay, England. On qualifying as an “apothecaries’ assistant” in 1917 and working as a dispenser, she earned £16 a year until the end of her service in September 1918. Her second novel, The Secret Adversary (1922), featured a new detective couple Tommy and Tuppence, again published by The Bodley Head. It earned her £50. A third novel again featured Poirot, Murder on the Links (1923), as did short stories commissioned by Bruce Ingram, editor of The Sketch magazine. Another Christie detective, Colonel Race a mysterious man of few words first appeared in The Man in the Brown Suit (1924). However, since his principal area of activity was in the English colonies (territories then under British government control), Christie only used him occasionally afterward. Superintendent Battle, who was strong, dependable, and hardworking, came onto the scene in The Secret of Chimneys (1925) and later solved The Seven Dials Mystery (1929). The year 1926 was an important one for Christie. It saw the publication of her first hugely successful novel, The Murder of Roger Ackroyd, in which the narrator (the character in whose voice the story is told) is the murderer. It was also a year of personal tragedy. Christie’s mother died in 1926, and Christie discovered that her husband was in love with another woman. She suffered a mental breakdown and on December 6 she disappeared from her home, and her car was found abandoned in a quarry. Ten days later, acting on a tip, police found her in a hotel in Harrogate, England, where she had been staying the entire time, registered under the name of the woman with whom her husband was having his affair. Christie claimed to have had amnesia (severe memory loss), and the case was not pursued further. She divorced her first husband two years later. Christie’s autobiography makes no reference to her disappearance. Two doctors diagnosed her as suffering from amnesia, yet opinion remains divided as to why she disappeared. Her biographer Laura Thompson suggested that Christie let this out in the six novels that she wrote between 1930 and 1956 under the nom de plume Mary Westmacott, in a style quite different from her regular detective stories. She was known to be in a depressed state from literary overwork, her mother’s death earlier that year, and her husband’s infidelity. Public reaction at the time was largely negative, supposing a publicity stunt or an attempt to frame her husband for murder. In 1930 Christie also produced what is believed by many to be her best-written novel, Murder at the Vicarage. This mystery also marked the first appearance of Jane Marple, who became one of Christie’s favorite sleuths and who showed up frequently thereafter in her books. Miss Marple was one of those complicated characters in whom readers delight. Behind her old-fashioned, grandmotherly appearance, Miss Marple’s mind was coldly aware that all human beings are weak and that some are completely immoral. Her novel ‘Murder in Mesopotamia’, set in the backdrop of the Middle East, appeared in 1936. This book is remarkable for its vivid description of an archaeological dig site and the characters of this book are based on archaeologists whom she met in real life. 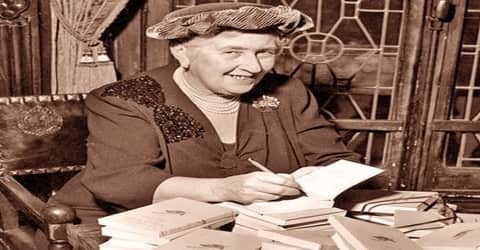 She also wrote romantic nondetective novels, such as Absent in the Spring (1944), under the pseudonym Mary Westmacott. Her Autobiography (1977) appeared posthumously. She has created a Dame of the British Empire in 1971. Published in 1938, the novel ‘Appointment with Death’ features her well-known detective character, Hercule Poirot. The novel is set in Jerusalem and the book offers some very descriptive details of sites which she herself would have visited in order to write the book. In the mid-1930s Christie began to produce novels that bore her special manner. In them, she arranged a situation that seemed highly unrealistic or unlikely, and then she placed characters, who acted for the most realistic of reasons, into this framework. In Murder in the Calais Coach (1934) the murder is committed through the planning of a dozen people. In And Then There Were None (1939) nine murderers are invited to an island by an ex-judge who kills them out of an unshakeable sense of justice. In Easy to Kill (1939) four murders are committed in a tiny town without any suspicions being aroused, while in A Murder Is Announced (1950) the killer notifies others that the crime will occur in advance. Also interesting in these books is Christie’s philosophy that it is quite acceptable to kill a killer, particularly one whose crime is especially horrible. Christie’s plays include The Mousetrap (1952), which set a world record for the longest continuous run at one theatre (8,862 performances more than 21 years at the Ambassadors Theatre, London) and then moved to another theatre, and Witness for the Prosecution (1953), which, like many of her works, was adapted into a successful film (1957). Other notable film adaptations include Murder on the Orient Express (1933; film 1974 and 2017) and Death on the Nile (1937; film 1978). Her works were also adapted for television. Christie lived in Chelsea, first in Cresswell Place and later in Sheffield Terrace. Both properties are now marked by blue plaques. In 1934, she and Max Mallowan purchased Winterbrook House in Winterbrook, a hamlet adjoining the small market town of Wallingford, then within the bounds of Cholsey and in Berkshire. This was their main residence for the rest of their lives and the place where Christie did most of her writing. This house, too, bears a blue plaque. Christie led a quiet life despite being known in the town of Wallingford, where she was for many years President of the local amateur dramatic society. In 1971 Christie was named a Dame of the British Empire a title given by the English king or queen in honor of a person’s extraordinary service to the country or for personal merit. To honor her literary creation, she was appointed as Commander of the Order of the British Empire in the 1956 New Year Honors. The next year, she became the President of the Detection Club. From 1971 to 1974, Christie’s health began to fail, although she continued to write. Recently, using experimental tools of textual analysis, Canadian researchers have suggested that Christie may have begun to suffer from Alzheimer’s disease or other dementia. 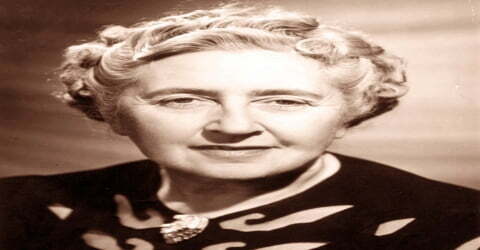 Dame Agatha Christie died on 12 January 1976 at age 85 from natural causes at her home Winterbrook House which was located in Winterbrook, Wallingford, Oxfordshire. At the time of her death, Winterbrook was still a part of the parish of Cholsey. 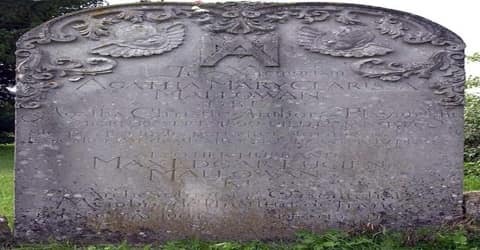 She is buried in the nearby churchyard of St Mary’s, Cholsey, having chosen the plot for their final resting place with her husband Sir Max some ten years before she died. Christie was survived by her only child, Rosalind Hicks (1919–2004), and only grandson, Mathew Prichard. Her husband, Max, died in 1978, aged 74, after having remarried in 1977. He was interred next to Agatha Christie. Christie wrote several works in addition to her fiction, including seventeen plays. Her favorite play was Witness for the Prosecution (1953), but the public disagreed. The Mousetrap opened in London in 1952 and was a huge success, playing there for over thirty years. In addition, many of Christie’s mysteries were made into movies. In 1998 her play Black Coffee was adapted into a novel by another writer, Charles Osborne.